Okay, Libby. Fine. You got me. I was wrong about you. Maybe you are the next Julia, and if so, I look forward to seeing you get a well-deserved seventh place. First, however, let’s review your fallen friend, shall we? That whole Tribal, I was so sure that Andy was going to be three-for-three on boot predictions, that Morgan was the red-herring, that all the scenes showing Morgan and Libby bonding was leading to something larger down the road. Happily, however, this was not true—not happily because I didn’t like Morgan (she was fine) or that this makes Andy wrong (though it does). No, I’m merely happy because this was a fairly sizeable move for Laurel, Donathan, Libby, and James to pull off, though most of the credit going to the latter two, if the edit is to be believed. While this level of gameplay is more or less expected in the Merge-stage, seeing it on the ninth day is always refreshing. Alas, dear Morgan, I thought you’d make it to at least the Merge, but, instead, your role in this story is the sacrifice, one that was necessary in order for another player or players to come into their own. That player is Libby (and somewhat James, given as he got a lot of the credit), and through that charming smile, she’s now been metaphorically baptized in her friend’s blood. Gotta love that, right? TDT’s own Ben brought up a point in his last article that I hadn’t considered before: this season is something of a love letter to Survivor fans. Immediately when I read that, I was intrigued, and watching this episode under that impression, I have a whole new respect for this season. Who cares that Chris didn’t get an advantage? We got to see Michael find one of James’s ill-fated idols, and seeing the flashback as well as Michael’s confessional… I get it. At the risk of jinxing it, who knows how much longer Survivor will be on the air? 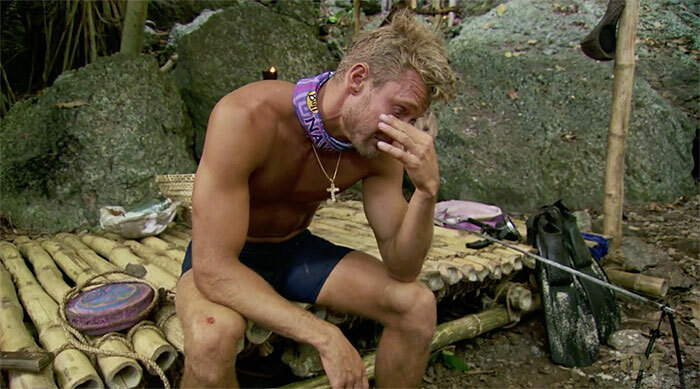 While we Survivor faithful have watched through some bad seasons, and even bad stretches of seasons (looking at you, 21-24), and would likely continue watching for decades to come… who knows? As such, I love having a season pay homage to a game I adore and doing so without bringing old players back. I was skeptical going in, but if this continues—and there isn’t a new advantage every episode—I like this choice. Huh, I guess I’ve had a lot of those going in… maybe I was just still cynical after HvHvH’s ending. Still, Chris’s scene at Ghost Island really caught me off guard, and what’s more, editing opted to show it. It would have been just as easy, nay, easier given how good the Tribal ended up being, to show Chris briefly, showing he didn’t have a Ghost game to play. Instead, whoa. A whole ton of personal content. Do I think Chris should be seriously considered a contender? No. I still don’t, but now I’m incredibly confused as to what his edit is. He still seems like an imminent boot at the hands of Domenick, his idol, and his newly gifted advantage, but now it’s hard to see him as just some pretty boy. Add to the fact that he saw through Dom’s deception last episode, and Chris is setting himself up for… what? I truly don’t know, but, and I can’t believe I’m saying this, I can’t wait to see where it goes. Well, I have to give Dom credit for showing his fake idol to the Malolo folk as a means of taking pressure off of him. It provides reasonable doubt in the minds of everyone else that he really might not have an idol. I think that’s a good move, and while it doesn’t make up for the fact that he told his nemesis about the real idol, it at least helps with general suspicion. Props to James for staying wary, but I think Dom remedied the situation as best he could. Now, in regards to next episode’s preview, I’m skeptical as to what Domenick can really stir up with Laurel. He’s going to tell yet another person that he’s actually got the idol—which, on the surface, I really don’t like—and while the preview would have us believe it just might work, why would Laurel jump ship? Yes, she appeared in a relatively weak position on old Malolo, but here she’s with the others who seemed to be on the outs in James and Donathan. Maybe they gun for Libby, but if I’m Laurel, I assuage Dom’s worries, then just blindside him. He’s got an idol, and now a hidden advantage. The idol alone means he should go. Let me just say, I like James, a lot. As someone who is half-Asian American, I appreciate seeing someone capable out there representing that demographic. That being said, his intro confessional about growing up in a Korean home, while personal and therefore good for his longevity, seemed a little much to me. I have to believe there are other confessionals editing could have used, and in a time in which so many people are so PC-minded and sensitive, this just seemed like a step back to Cook Islands, in some ways. Oh well. As for James’s new positioning, I like it, but don’t love it. Yes, he orchestrated Morgan’s dismissal very well, rightfully using Naviti’s plan to get rid of one of their own outcasts to go for someone right in the thick of things, but in doing so, he’s somewhat made himself the head of the Malolo alliance at New-Naviti. I’d argue this was a necessary evil to make the fractured OG Naviti all the less stable as two groups of two rather than Chris versus three, but if Naviti can come together or Dom can convince Laurel to flip, you have to figure James’s name is going to come up. I think his edit will keep him safe for a while to come, but note my above confusion surrounding Dom and Chris. Add in the fact that Libby actually seems like she came to play and Donathan’s general presence on that tribe, and I think Naviti is the interesting tribe to watch going forward. I’ve mentioned multiple times above that I’m super impressed by Libby this week, turning from filler into a fighter, but I’ll leave it at that for now. I think there will be plenty more of her in the coming weeks for me to fawn over. No, what I want to talk about here is the comment she made right before the swap. She mentioned Malolo being, as Jacob put it, “best tribe ever.” Jacob’s gone, of course, so why mention this? I couldn’t help but think back to Worlds Apart in which Lindsey Cascaddan claimed someone on her tribe would win the game. At the time, I thought there was no way editing would make the champion that obvious, especially since, after Kelly went home, Mike was the only constant viable winner by most standards (Sierra and Rodney by others). Yet, what happened? Mike Holloway lived up to his old tribemate’s prediction and won! Now, up to this point, all the strategic chops in the game have come from Malolo. 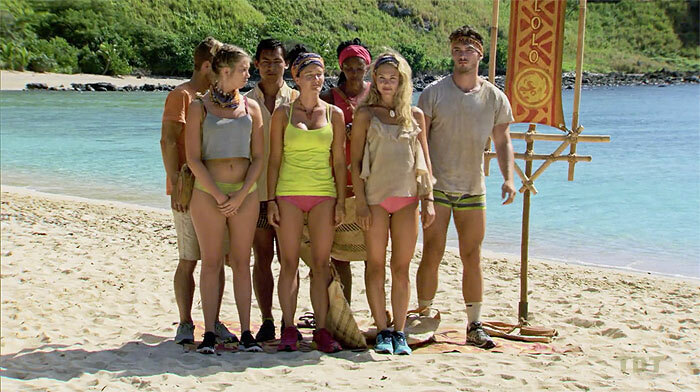 Yes, over half of the original Naviti has yet to see a Tribal, but this week, Malolo showed they could in fact be the better tribe in the long haul. 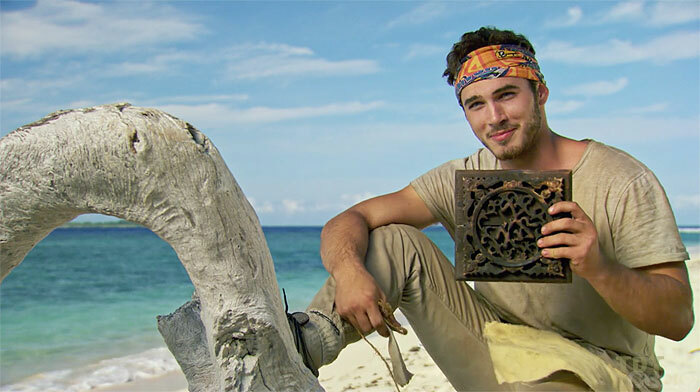 Not to mention, I’d be shocked if Michael/Brendan/Steph/Jenna didn’t use that idol correctly the first time they attend Tribal as new Malolo (but more on that later), and, in fact, maybe Malolo could come out on top in both tribes despite starting in the minority. However, what’s necessary for a tribe to be the best ever? I’d think it’s to have someone on it be crowned champion. So, to the eight Malolo’s still left, I’m looking for one of you to take home the gold. While Kellyn didn’t get much screen time this week considering new Malolo didn’t have to face Tribal, I loved her confessionals. I found her funny, charming, and fairly aware. While she might have annoyed me in pregame, I’m quickly warming up to her. She seems like someone who’s going to be around for a very long time. All that being said, flat out telling the old Malolo that they were on the bottom, that Naviti was just going to stay strong, seemed like a misplay on her end. At least hear people out! After all, people want to feel heard, and simply shutting down the conversation ain’t a great look. Still, that looked better than virtually everything Bradley did. I do feel some level of vindication seeing Bradley act just like I thought he would from pregame. Being shown as the source of constant complaining and even calling Malolo’s beach some expletive is a bad, bad look. He just feels very entitled to me, and false entitlement really drives me up a wall. I think (and hope) he’s being set up for a short story arc in which Malolo, annoyed with him and his lackluster personality, idol him out. Fingers crossed. This, of course, leads me to James’s China idol. We all knew at least one of them would have to surface eventually, and while I touched on Michael finding it earlier, what’s more pertinent is how he could potentially use it. Somehow, someway, I think Steph will figure out who Naviti is voting for—her writing “hope” in the sand in the preview seems indicative she’s going to fight to stay in the game—and coach young Michael what to do with his hard-found relic. They can’t ditch Seb and his challenge performance (Wendell’s saving grace this week), and Kellyn has both puzzle skills and a good edit to fall behind. 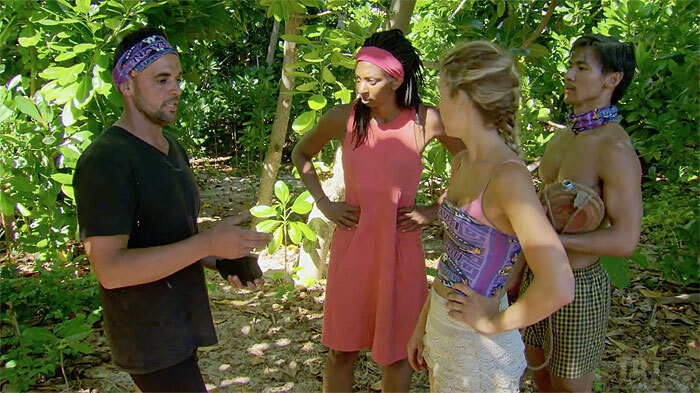 Desiree’s been all but invisible since the opening, and I’m not sure Chelsea even exists, so who’s the logical vote? That’s right, signs still point to Bradley. 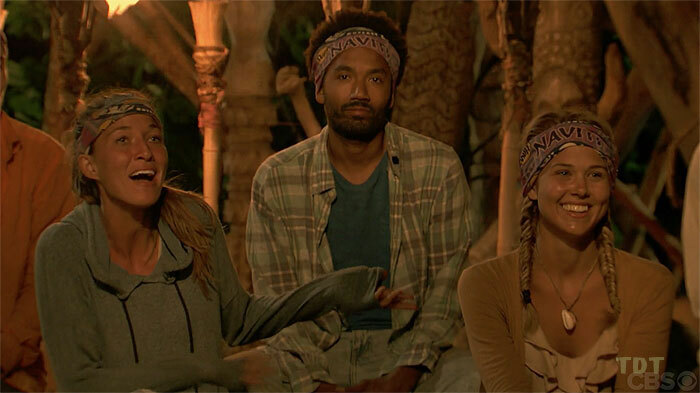 I give a lot of credit to Angela for staying loyal to her original tribe despite the temptations, and in fact, logical choice, to boot an original Malolo. It was a very “old school” move, but one that I think should have benefitted her stock with the rest of Naviti’s core. Instead, Wendell decides she needs to go! This was ill-fated from the start, but rare as it can be in Survivor, the person who was left completely out of the loop benefitted from the blindside. 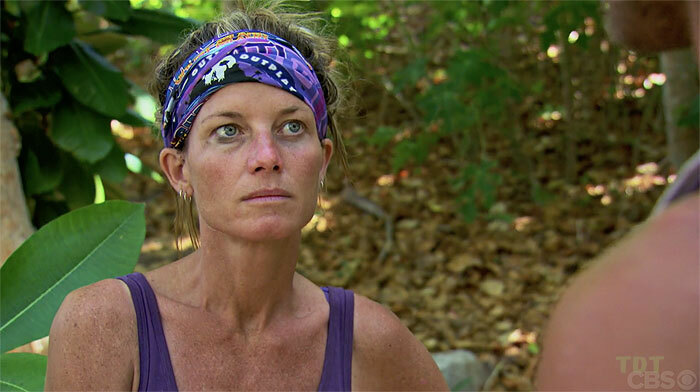 Now, at least with the tribe’s current makeup, I have a hard time seeing Angela not at least survive for another trip or two to Tribal. You have to figure she’s going to throw all in with the people who saved her rather than the ones who stabbed her in the back right when they get back to camp—think Jess post-David’s idol play for her in MvGX—and Chris, when he joins back up, will be right with them. Even if Dom flips Laurel (which still seems absurd to me), there’s a crushing majority, one that will be far more dedicated to getting rid of Chris rather than his right-hand lady. No, Angela evading the boot this week, I believe, bodes very well for her chances to make it deep into the game. If she can crack the Merge, I can’t help but feel others will see bigger threats out there, and if she can remain loyal to the right folks (which will be her biggest challenge, figuring out who those people are), we might in fact see her at the finale. After all, we got a fair amount of personal content from her this week, and while it wasn’t as blatant as Chris’s, that might actually be a good thing, signaling a longer story arc. And who knows, maybe this Tribal serves as a wake-up call to her and she proceeds to start playing a game on par with many of the Malolos! Maybe not. Hell, maybe she gets the next boot and I’m just a big, stupid idiot. I mean, I picked Gonzales first in the draft… that doesn’t do much for my predicting credibility this season. Assuming I am right, however, Team Ghost’s draft picks are looking mighty good. Alright, my friends, let’s try and accurately predict this week’s boot, shall we? Given as there are many, many moving parts at Naviti, I’m going to bank that they win Immunity only so I don’t have to try and wade through their drama. This idea also comes from the fact that, given Chris, Wendell, Dom, and to a lesser extent, James and Angela all could potentially get ousted, I think there’s probably a little extra motivation for everyone to try and win. That leaves Malolo going to Tribal, and for the original Malolo four, they should want one of Brendan, Jenna, or Steph going to Ghost Island (I’m hoping for Brendan or Steph just so one of them can get a little something-something to help them out down the road… or at least to nerd out like Jacob did). Simply put, if there are only three of them there, and Michael’s/James’s idol is with them, they have a better probability of correctly guessing who’s going to be receiving votes at Tribal and it’s still a five-three split so old Naviti can’t split votes. As mentioned above, Bradley’s whining seems indicative we’re not supposed to like him or get attached, and given as he’s nowhere near the most physical guy on that tribe and appears completely oblivious to how he’s being perceived… UCLA’s law student’s torch is getting snuffed.